In 1977 we received a radio signal from space that lased 72 seconds. To this day, we still dont know where it came from. It was called the "Wow! signal"
The Wow! signal was a strong narrowband radio signal detected by Dr. Jerry R. Ehman on August 15, 1977, while working on a SETI project at the Big Ear radio telescope of Ohio State University then located at Ohio Wesleyan University's Perkins Obs...ervatory, Delaware, Ohio. The signal bore expected hallmarks of potential non-terrestrial and non-Solar System origin. It lasted for the full 72-second duration that Big Ear observed it, but has not been detected again. The signal has been the subject of significant media attention. 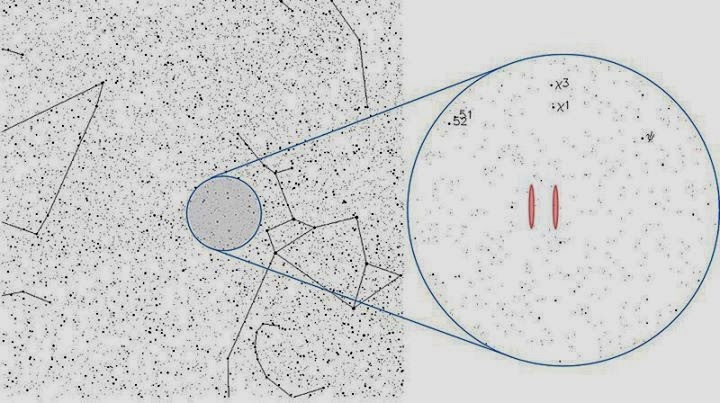 Interstellar scintillation of a weaker continuous signal—similar, in effect, to atmospheric twinkling—could be a possible explanation, although this still would not exclude the possibility of the signal being artificial in its nature. However, even by using the significantly more sensitive Very Large Array, such a signal could not be detected, and the probability that a signal below the Very Large Array level could be detected by the Big Ear radio telescope due to interstellar scintillation is low. Other speculations include a rotating lighthouse-like source, a signal sweeping in frequency, or a one-time burst. He later recanted his skepticism somewhat, after further research showed an Earth-borne signal to be very unlikely, due to the requirements of a space-borne reflector being bound to certain unrealistic requirements to sufficiently explain the nature of the signal. Also, the 1420 MHz signal is problematic in itself in that it is "protected spectrum": it is bandwidth in which terrestrial transmitters are forbidden to transmit due to it being reserved for astronomical purposes. In his most recent writings, Ehman resists "drawing vast conclusions from half-vast data" -- acknowledging the possibility that the source may have been military in nature or otherwise may have been a production of Earth-bound humans. 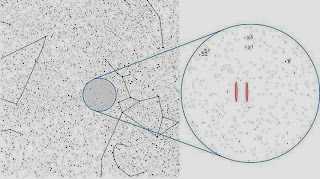 About the Image: The location of the signal in the constellation Sagittarius, near the Chi Sagittarii star group. Because of the design of the experiment, the location may lie in either one of the two red bands, and there is also significant uncertainty in the declination (vertical axis). For clarity, the widths of the red bands are not drawn to scale; they should actually be narrower.